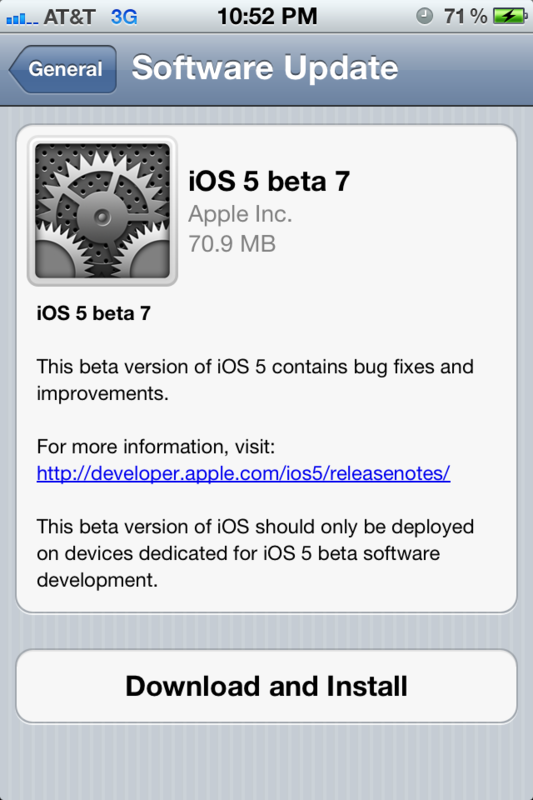 Apple released iOS 5 beta 7 to Developers. The latest beta has numerous bug fixes and improvements. As with the other most recent beta releases, it can be downloaded and installed over the air or the traditional way using iTunes.